Hello again! Thanks very much for your kind words regarding the new domain and stuff. This post is a short-ish one (I’m practising, ok?) about a few crafty things I’ve been making… and then some. I’ll start by mentioning this new Facebook “fan” Page I made a few days ago, as a place to keep track of the arts- and crafts-things I’ve made over the years. Previously, it has all been at Flickr, but I’m not a Pro member there (which means the total number of photos in my gallery is limited — and yes I’ve had to delete photos before ), and not many people I know have an account or browse Flickr regularly. I’m hoping that having a gallery on Facebook will make my works more reachable to non-crafty folks and general acquaintances. 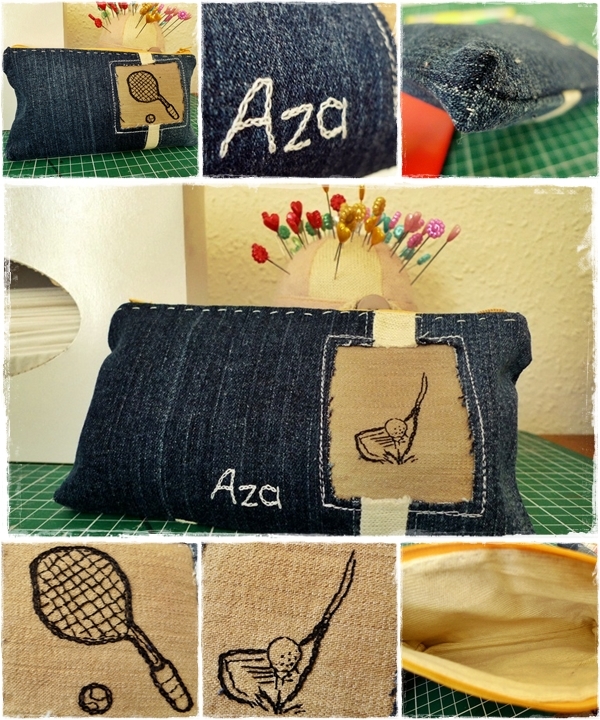 I’ll mostly be posting photos of new handmade things there, and share crafty links or tutorials, etc. etc. 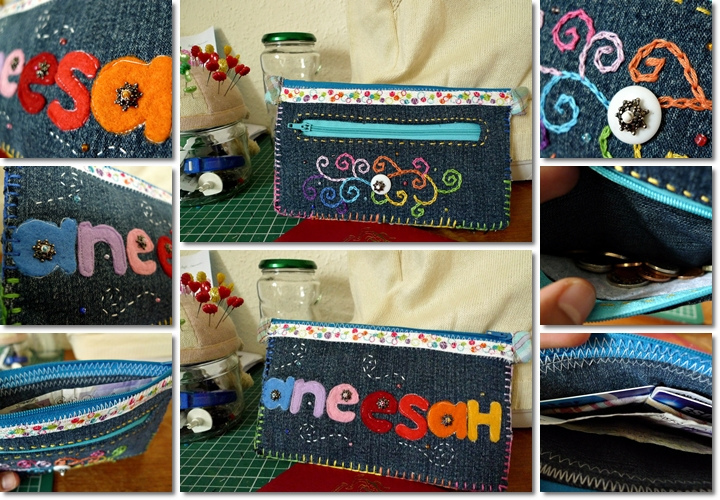 I think what would also be cool is if people who own anything made in Aneesah’s Hideaway (ie. made by me ) share their pics as fan photos. Two-way communication is good, yes? I haven’t been very crafty during the holidays because… well, I’d like to blame work, but it’s just the general busy-ness and staying in a temporary room with half my stuff still in sealed boxes and working on less glamourous tasks like altering clothes. Mainly shortening jean legs and adjusting their waistbands. I have gotten into a habit of purchasing kids’ size jeans when they are on sale (I’m talking age 13-14 here, and a price range of about £7 – £12. I have always envied children’s clothing and footwear, but sadly my feet are quite average-sized for a 21-year-old), but even then the leg lengths sometimes still require adjusting. Also they tend to suit a child’s body (…well, duh? ) and usually the waist needs to be taken in a bit, or else I’ll have to wear a belt, which I dislike. Alterations done to a foot hem and waistband. People like to say but I don’t know how to ___ when it comes to these DIY things, but really, all you need to do is Google. I confess myself a beginner in sewing garments, so a little online help would point in the right direction. There is a way to shorten trouser legs while retaining the original hem (that means the bit of existing stitching at the end of the leg), which I learned here. 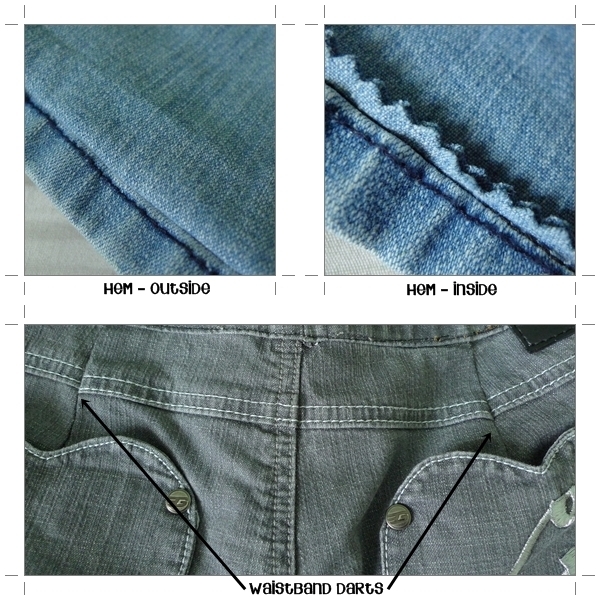 I did the waist here in a not-so-discreet way of adding darts (after shortening the waistband), but a neater (and more labourious) way of using the side seams is described here. I don’t mind the visible darts on mine because I usually wear longer shirts that hide even the back pockets of my jeans. 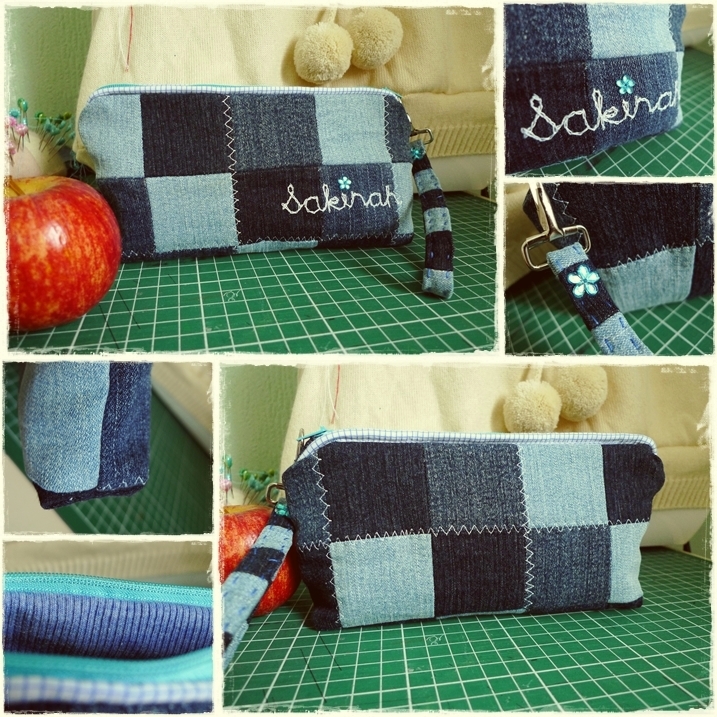 A flat pouch used as a long wallet. I used beads from my mum's old jewelry and felt for the name. A pencil-case style pouch for a dear friend who likes golfing and tennis. Referred to several tutorials for this one. Made for another friend who requested one. I did patchwork this time since the fabric scraps were getting smaller. I have a couple more pouches to do for an order (one is a felt one — I haven’t worked in 100% felt in awhile ) so hopefully I’ll be un-lazy enough for those. See, I do make things for people who ask for them (and accept payment if they generously offer ), but I can never have a deadline or set a time frame because I just don’t work that way. It becomes too uni-like or work-like and then I just don’t want to do it. I’ve posted the keychain to a dear friend of mine, I hope she’s looking out for mail back home. Till next time, peace! And Ramadhan mubarak! 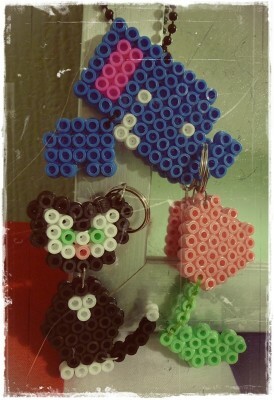 I LOVED making those bead keychains when I was younger! As for the jeans in kids size… Haha, I did that the other year, and I think I grew out of them pretty easily though. I think I can still fit some, but I’d rather not. Haha. I tried those a long time ago… I feel old now…lol. Right now I am doing paper beads and fimo clay beads when I have time. It is true, a lot of what you can learn in DIY can be found online. Yay, thanks for the tip! The app works great. I think I bought a few packs of sculpey clay for a model ages ago but never got around to trying it out. Polymer clay has always been one of those cool things I could never find back home. 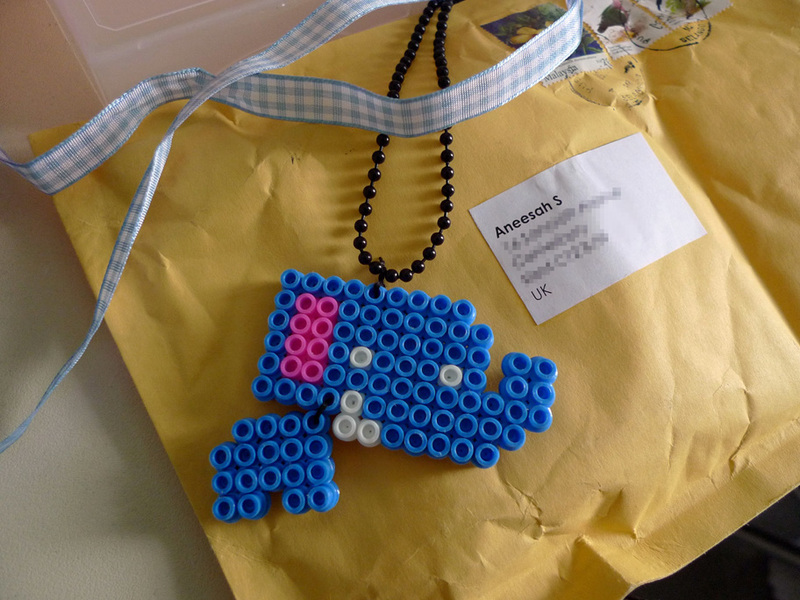 The perler beads have just come into trend there, too. i absolutely love that wallet of yours!!! i want one with my name on it!!! I’m a fan, I’m a fan! hai annesah. i’m looking for someone who can sew denim pensil case. & i would like to make an order. can u make it.? Assalamu’alaikum Aiza, inshaAllah, feel free to e-mail me (click the about page above) he details of what you’d like. I have to say I won’t be able to do tight deadlines at the moment, but if you don’t mind waiting, then I don’t mind taking up your order iA. sure can. no problem. :)i dun mind with the deadlines. i love more to sporty design. & i hope u can make it a bit bigger..:) bout the budget, i dun mind. :) just let me know the cost including the postage..:) ok.?